Florame research has concentrated all its know-how in this shower gel combining pleasure for the senses and softness for the skin. 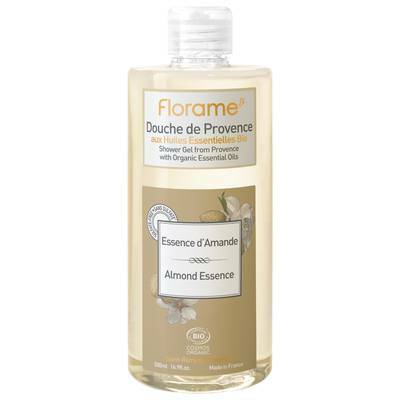 Perfumed with bitter Almond essential oil, this sulfate-free Shower Gel from Provence gently cleans your body every day. Your skin is soft and fragranced with sweet scents of Provence.